Earthbath specially formulated this gentle, conditioning shampoo just for cats. pH balanced for mildness, this luxurious shampoo contains nature's finest blend of natural cleansers, supple conditioners, aloe vera and fragrant essences. The heavenly scent of wild cherries combined with an exceptionally mild shampoo adds brilliance and shine. 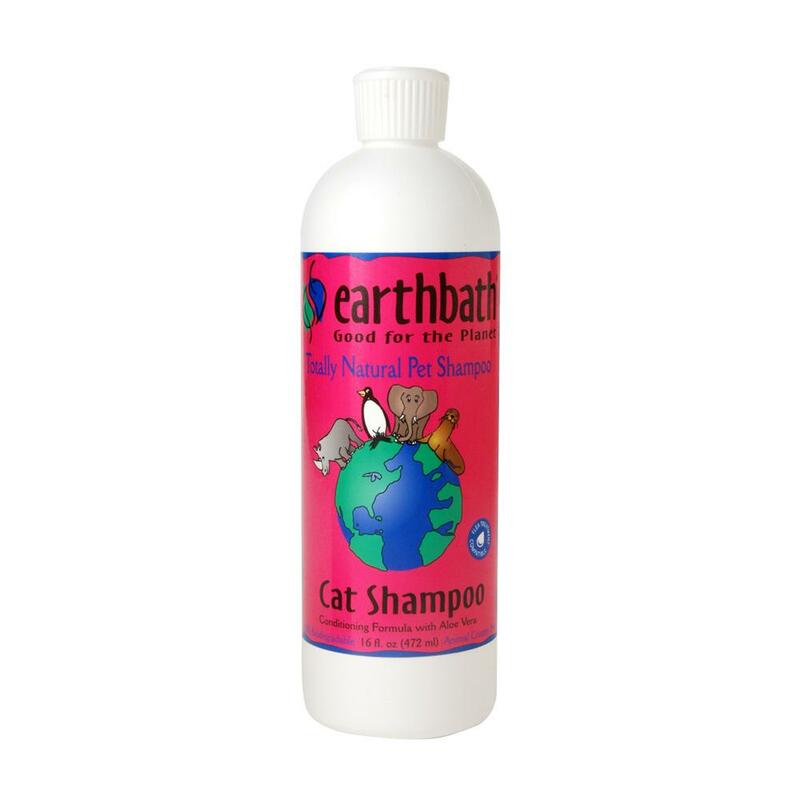 Safe for all animals over the age of 6 weeks. Purified water, renewable plant-derived and coconut-based cleansers, gentle conditioner & detangler, aloe vera, vitamins A,B,D & E, glycerin, wild cherry essence, natural preservative.